The last couple of years have certainly been contentious for the nail industry, as salons and brands alike have been scrutinized for everything from shocking working conditions to the use of hormone-altering chemicals in most formulas on the market. 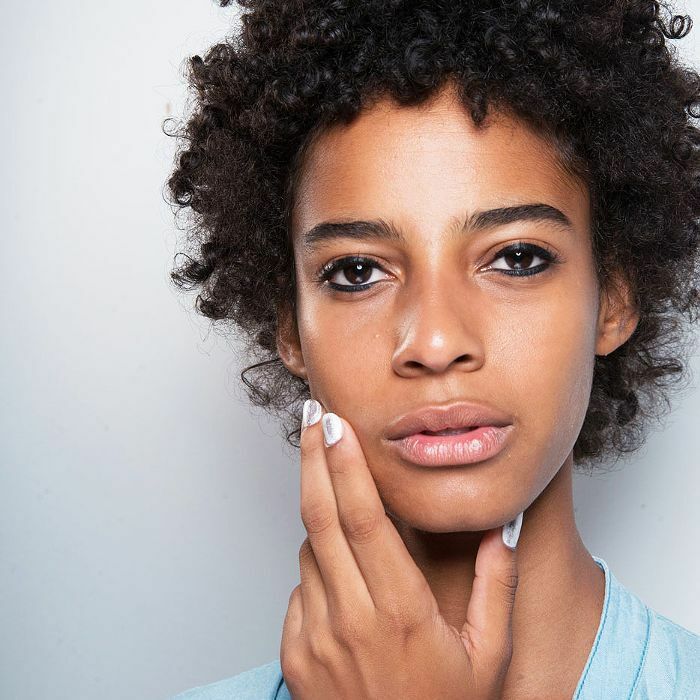 But even as brands have scrambled to address the latter issue by rolling out reformulated products that are free of the most controversial chemicals, truly nontoxic polishes remain few and far between. Yet the latest controversy ironically stems from a product touted as a safer alternative. Powdered nail polish is the kind of innovation that has the potential to completely reframe the market. Created as a less damaging alternative to acrylic nails, dip powders are quick and convenient and last up to three weeks—longer than gels. Still, mani-loving beauty fans have certain reservations. Keep reading to get the details on dip powders. The video above spotlights Kiara Sky's dip powders ($15), which are nontoxic and fortified with vitamins to strengthen nails. It's simple: After applying a base coat, you dip your nails in the colored powder and finish off with a seal. The process takes about the same amount of time as gels, but there are no UV lamps involved, and the color often lasts longer. Plus, the removal just requires soaking your fingers in acetone. Still, we couldn't help but notice quite a debate break out in the Facebook comments below Insider Beauty's video. So what's the argument against dip powders? Well, it is a little problematic to tout dip powders as a completely nontoxic alternative to regular nail polish when it requires base and topcoats for application. However, commenters who are familiar with the process note that it is possible to specify water-based or nontoxic formulas when trying it out. And since its a much less damaging and longer-lasting alternative to gels, it might be worth the extra effort. Are you familiar with dip powder manicures? Tell us your thoughts in the comments below.